this website is all about the miniEngine, called miniE. Here I am going to present the progress of the project. I am developing this software since 3 months now and reached version 0.9 with a lot of help from the guys at www.openmoco.org. 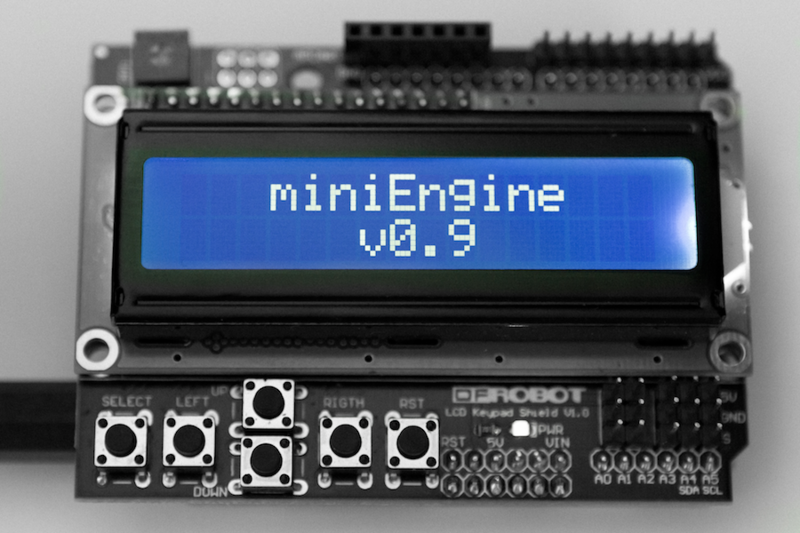 miniE is an open-source engine sketch to provide control over a single stepper motor and camera, using an Arduino and DFRobot LCD Keypad shield. It is a minimalist design providing all the necessary features to do shoot-move-shoot or continuous timelapse with a built-in UI. The 1st version of this code was heavily inspired by the openMoCo Engine by C.A. Church and is basically based on it. Thank you for your great work and help! The project can be downloaded from the SourceForge repository or directly as a GNU tarball. The aim of the system is to be flexible. For this lightweight engine, full system control should be possible out in the field without extra hardware. The GUI code was implemented as customizable and modular as possible.